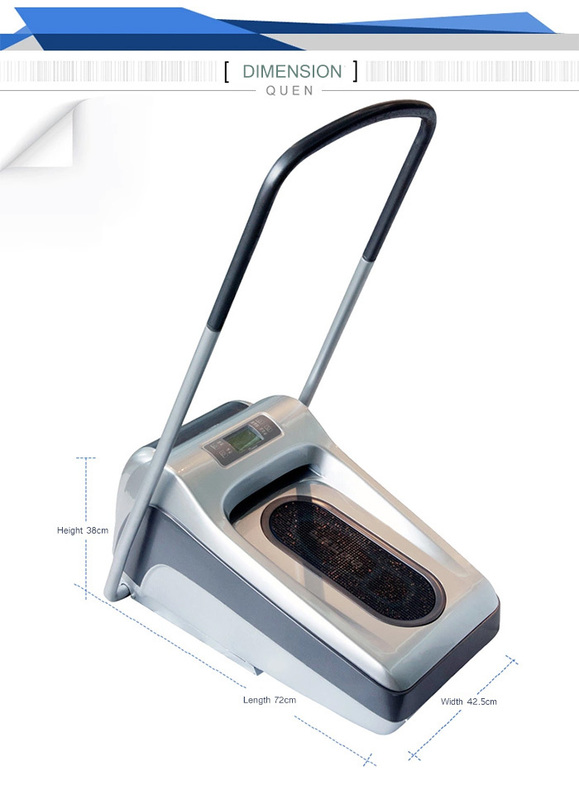 “Quen” Thermo Shrinkable Shoe Cover Machine had been developed since 2003. It entered into European market in 2006.
proper temperature. complete different technology from other shoe cover machine. It can automatically outputs and cuts the PVC film and provide hot air . It only takes three seconds to make PVC film into shoe cover and wraps people's shoes. To provide a clean environment ! It only takes about 30s to replace the film roll, then it can use 1600 times consecutively. It is easy to use and comfortable to wear. 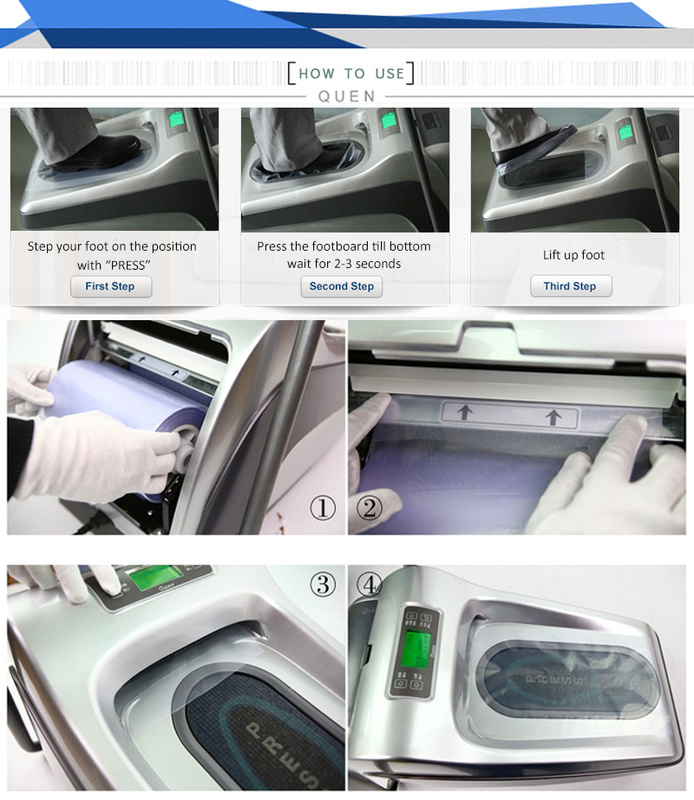 Zhejiang Quen Technology Co.,Ltd is one of the leading China automatic shoe cover dispenser with shrink film manufacturers and suppliers, over the years, we have established good relationship with our customers for wholesale automatic shoe cover dispenser with shrink film.